Is the industry obliged to participate in the empty container recycling program? What containers are managed through the empty container recycling program? 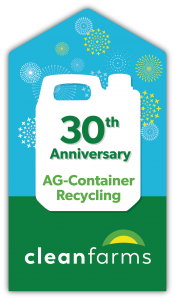 Stewards, brand owners or first importers must financially support a recycling program that manages these empty containers. Cleanfarms must operate its program in accordance with the conditions set about by province. Cleanfarms’ empty pesticide and fertilizer recycling container program operates as a ‘stand alone’ program that is exempt from the Regulation respecting compensation for municipal services provided to recover and reclaim residual materials. Cleanfarms members are able to meet their stewardship obligations through their membership in the organization.